Below are the recommended email server settings (SMTP mail server) for GoDaddy users. Email User Name: typically your full email address. Email Password: the same password used to access your email. Use SSL: No. SSL is not checked. 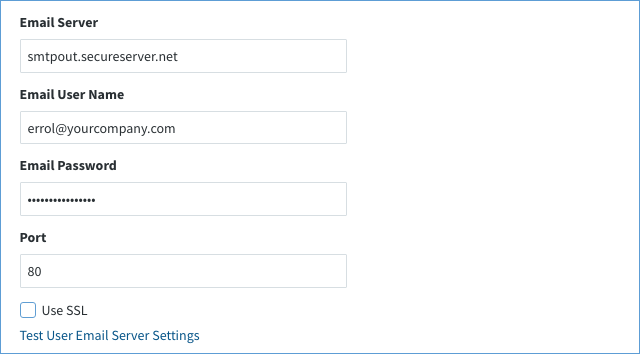 Click Test Company Email Server Settings and wait for on-screen confirmation. Note: Some GoDaddy users may need to try alternate settings for the Port and SSL. Please try from these additional options below.